﻿ Best Price on Hotel La Fortuna in La Fortuna + Reviews! 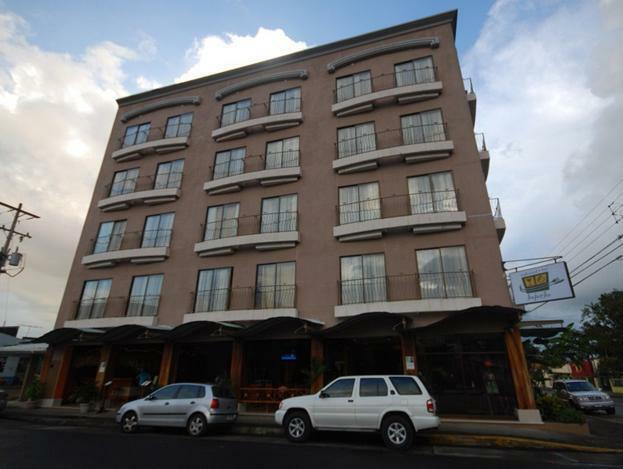 In the center of town of La Fortuna, this hotel is 3 miles from the entrance to Arenal Volcano National Park. 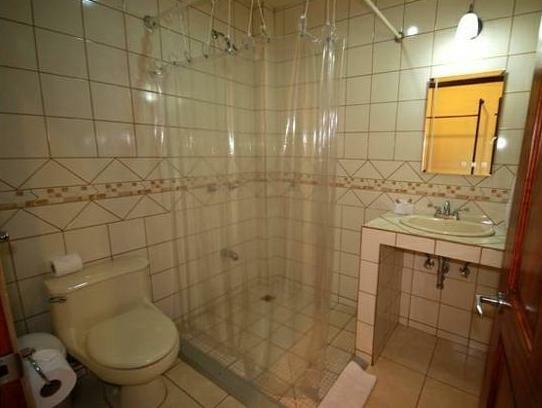 It features air-conditioned rooms with TV and private bathroom. Hotel La Fortuna is a 5-floor building that features an open central area from the lobby to the top floor, and each floor has a fridge and a coffee machine. The lobby area at La Fortuna hotel has free Wi-Fi and computers available to use for free as well. There is also a lounge with a Wii console, sofas and a book-exchange area. This hotel also has a restaurant and a bar, featuring 3 flat-screen TVs and a wide screen. The staff can organize several guided trips and sports activities such as diving or horseback riding. Hotel La Fortuna is only a quarter mile from the town’s bus stop. Transportation from Juan Santamaria International Airport, which is one mile away, is available for an extra fee. In a town full of expensive resorts and some cheap and cheerful hostals,, Hotl La Fortuna hits the middle ground. It is clean, well-run and not too pricey. Our stay here was ok, the staff helped us booked our Sky Trek tour and Hot Springs and were great with providing info on the area. The hotel is older, but the lobby is nice and rooms are basic, with cable TV and A/C. Our room was small, located on the 5th floor, but was more or less clean and comfortable. There was a rain storm at night and the power went out for a few hours and were awoke by some kind of loud water pipe back up, but no issues. Free breakfast was fine, coffee/juice, fruit with eggs and toast. Overall fine for the budget traveller and nice to be in town. Not the best nor the worst hotel I stayed in during my time in CR. Good location, ok breakfast. I was there for two nights, the service was great, the room was clean, everyone was friendy. I would recomended this hotel. We stayed in La Fortuna hotel for 2 nights. It was a very good choice: a good location, very nice rooms, good shower and it was easy to reach every interesting place. 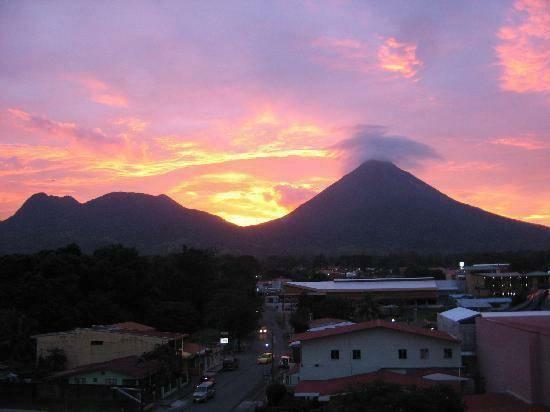 Closed to tours for Arenal vocano. Very good location, right downtown in Fortuna village. Clean and large room. Large shower. No safe in the room. Tour for Arenal pick up at the hotel. Wi-fi in the lobby. The restaurant hotel open until 10. The food was ok. The poeple at the reception was reliable and friendly.They were talking english. Didn't particularly like the town, because it is just a tourist resort, however the region, and the lake were fantastic. Caught the ferry up the lake with people travelling to Monte Verde, had a Coffey and then caught a ferry back. 2 hours out on the water for just, that's fine. They didn't even try to rip me off, which can happen.